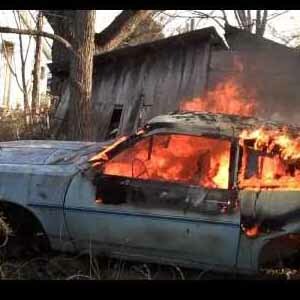 The Pinto is one of the most notorious deathtraps ever manufactured. Ford tried to make the car affordable, which involved cutting plenty of corners. One of them was putting the gas tank behind the rear axle, which made it vulnerable to exploding in case of a rear-end collision. Worst of all, fixing the problem would have cost ford $11 per car, but they decided it would be cheaper to pay the damages in lawsuits. 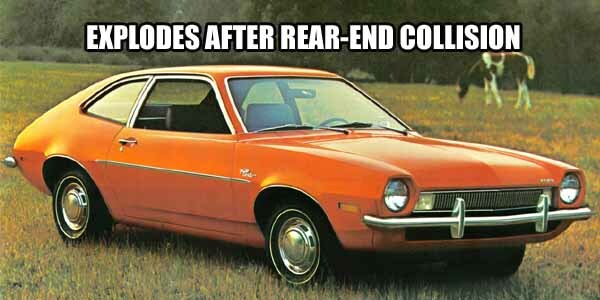 In 1978, after 8 years and millions paid out in damages, Ford recalled 1.4 million Pintos to have a plastic shield installed to protect the tank.